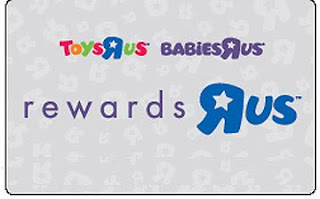 Rewards members of Toys R US/Babies R Us can save again this weekend. You can print off a coupon good for $5.00/$25.00 purchase. This is good only for rewards members (you can sign up in the store and use it the same day) and expires October 18th. If you combine this with one of the many toy printable coupons here, you can really stretch your savings. Get special $5 Shipping on select Kitchens and Dollhouses . This offer is good through December 19th. Get a FREE Bionicle Encyclopedia ($19.99 value) with ANY LEGO Building Set purchase of $35 or more. Buy 2, get the 3rd FREE from select Fisher Price, Imaginext, Grow-to Pro, Laugh & Learn, Little People, GeoTrax & more through this link . Free Shipping on Thousands of items with your purchase of $75 or more from the Free Shipping Store. Buy 2, Get the 3rd Free on LeapFrog TAG Software. Go here to learn more.